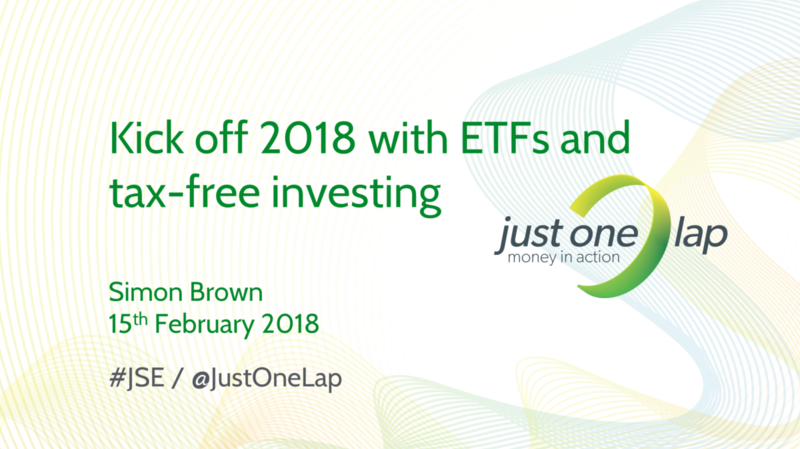 We kick off the Power Hour series in 2018 with Simon Brown of Just One Lap presenting on all things ETFs and tax-free taking into account his views for local and global markets in 2018. With fifteen new ETFs listed in 2017 and at least another fifteen expected to list in the first three months of 2018 the local ETF landscape has changed and the choice for investors has widened. Simon will review some of the new ETFs, look at how to compare ETFs issued on the same index and which (if any) he’ll be putting into his tax-free or personal investment account. He will also review the tax-free concept for those new to investing and help investors make the most of this important investing vehicle.